I'm certain that how the horses feel when we drag them all over the country. In the last few weeks some subset of our horses have been from Mississippi, Virginia, various vet schools along the east coast, Maryland, Massachusetts, and New York. It's a wonder they ever get onto the trailer these days. Our summer training trip up to MA has been a huge success. At least for the equine friends and Jessie. Poor Betsy popped off Aly week one because Aly jumped the snot out of a 3' oxer and cracked her back at the top. Betsy has been nursing a broken tailbone ever since. She's graduated from sitting on a donut, but not quite back in the saddle. 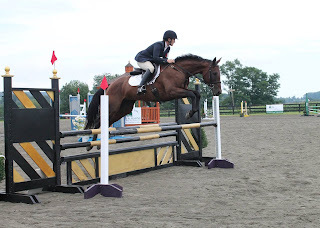 The horses have compete at some of the biggest, most impressive Area I events this summer. They ran at Fitch's Corner, which happened to be Area I championships, as well as Millbrook, which always has a lot of atmosphere. Competition was stiff and the courses were great! Smellie ran two Intermediates up here. the First was at Loch Moy II, the second Millbrook. He is officially qualified for the CCI2 at Fair Hill, which was the ultimate goal, and he and Jessie got a WHOLE lot of education. Check out the Team Smellie blog for more details. Who knew the skinny little horse that squealed and rolled his head would be making such a splash on the international sceen? People are watching him, are you? Heidi, aka Calysta MWF owned and bred by Meredith and Chris Michelfelder with Midway Farms Inc, only ran at Millbrook due to a minor cough and low lymphocyte count before Fitch's. 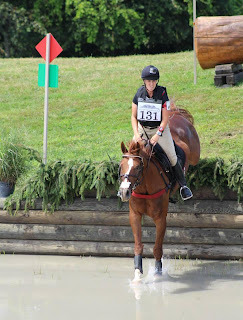 Heidi had not been out since her impressive performance at the CIC1 at Chatt Hills in May so there was some rust to knock off, but she ran around Millbrook's XC brave and clean as always. She's ready for the next step! Heidi got the chance to work with a number of great professionals including Stephie Baer and Bobby Costello. One can always wish that they were more competitive on the day, but she is a very special, albeit red, mare and one to watch for the future! It only gets better from here. James, aka Professor Moriarty owned by Weatherburne Farm, ran two solid trainings at Fitch's and then Millbrook. He made easy easy work of the cross country courses and he continues to get stronger on the flat. What less would we expect from a horse with such a big heart. He is still a gnagly baby, but once he's grown up, he will be a knock out. Zoey ran a novice at Fitch's and then her first training at Millbrook. The mare rises to the challenge each time. Dressage is still a work in progress. It's there, and we've had moments of greatness at home, but she is still only a little over a year under saddle. In reality she's just not very broke! 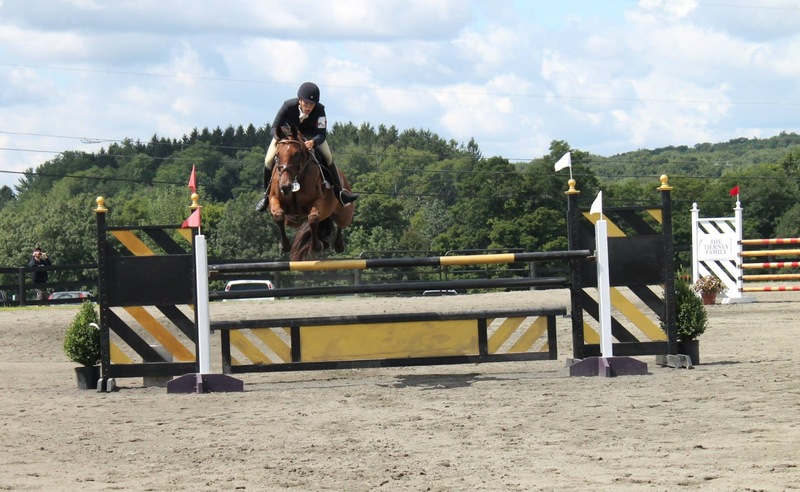 However, she is a phenomenal jumper and brave as all get out. A jump is a jump is a jump. At Millbrook, she jumped a combination including a drop into the water, an ugly half coffin on a steep down hill approach, a pretty serious roll top - bending line over a mound - corner combination, and a skinny roll top into space, which brought many combinations grief. Another red mare with a great deal of talent. Aly has surprised us all and made the biggest turn around of all the horses we currently have. She scored well into the 30s at Fitch's and Millbrook and jumped around clean both XC courses. Hardly the same horse that we affectionately (and sometimes maybe not so affectionately) called 'crazy face'. The mare jumps the moon, though perhaps a little unclassically. She is smart as a whip and learning to trust a little more. 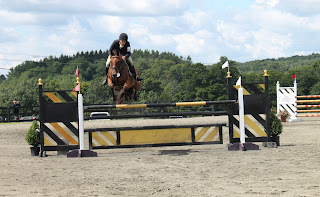 At an Apple Knoll jumper show this week she jumped her first 3'6" course clean and easily. We're very excited about this mare, despite some of her quirks. Now we prepare for the long journey back south. It's sad. We've just settled into life up here. The weather is beautiful. We have so many good friends and family. The horses are really starting to excel. However, life has a way of rolling on no matter how you feel or what you have to say about it. Perhaps next year we will come for longer. It has been a real treat! 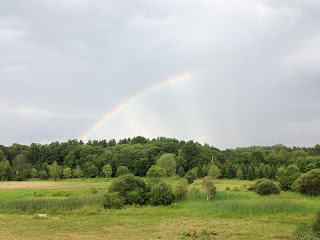 Getting outside our own 'little bubble' in area III is so important. New competition, new venues, new course designers, new terrain, and new insight from other professional is what makes us better riders and competitors. We didn't walk away with a lot of prizes, but everyone is much more educated and confident. This is what is really important. After all, we're trying to make horses for the future! We're looking forward to seeing all those we've missed at home and bringing some of the inspiration and knowledge we've picked up here to our students at home. It will be a whole 'nother adventure! The road is sweeping us along again. We need to give a BIG thank you to Stephie Baer and also to Brookfield Farm. Stephie has been incredibly generous with her time this past month. She has made teaching us on all of our horses a priority (even when it is pouring down with rain and the outdoor arena resembles a lake). We know it is not easy for her in her hectic schedule, but it has made such a difference to how our horses go. We would not have gotten as much out of this trip without her vast expertise and experience, and we cannot thank her enough. 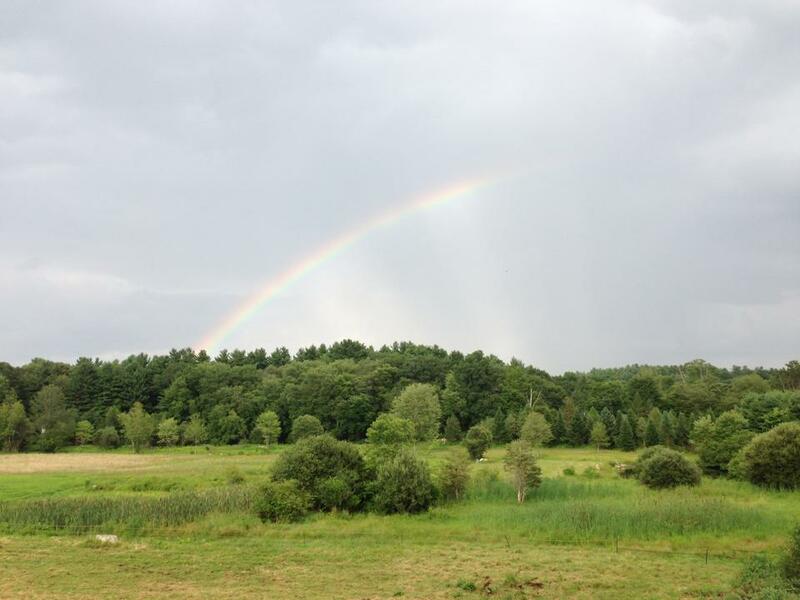 Brookfield Farm is truly a gem tucked away on Maple street in Sherborn. It has been a wonderful summer home for Redbud Farm. They have the most beautiful, charming barn and the people are so warm and welcoming. We hope great things for them in the future!